[SatNews] At an elevation of more than 29,000 feet, the deployment of an Inmarsat BGAN mobile broadband SATCOM service is a communications feat of elevated proportions. Stratos Global, a leading global provider of advanced mobile and fixed-site remote communications solutions, has announced that the Eddie Bauer First Ascent expedition team successfully did just that. 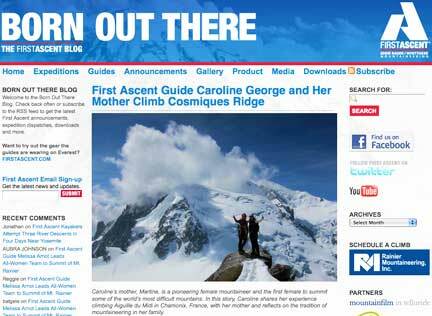 First Ascent is a joint venture of Eddie Bauer and Whittaker Mountaineering. All mountain guides for the First Ascent team are provided by Rainier Mountaineering, Inc. (RMI). On May 24th, the Eddie Bauer First Ascent team completed the expedition, which featured Leif Whittaker and RMI guide Dave Hahn. Leif Whittaker retraced American and family history when he reached the Everest summit 47 years after his father, Jim, became the first American to do so on May 1, 1963. Expedition leader Hahn reached the Everest summit for the 12th time, more than any non-Sherpa in history. Stratos and its Channel Partner Remote Satellite Systems International joined forces to provide the BGAN system that enabled the nine expedition members to maintain contact with their project team and upload photos, video and dispatches to the First Ascent Blog. BGAN uses portable, lightweight terminals to provide video (guaranteed up to 384 kbps streaming), high-speed data (up to 492 kbps) and voice connectivity anywhere in the world. 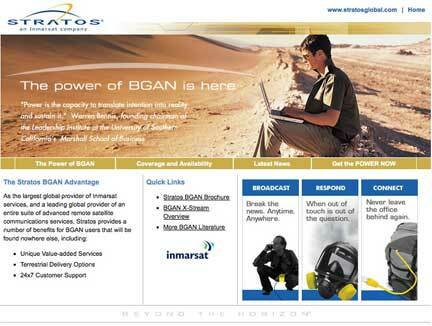 Stratos Dashboard, the foundation of The Stratos Advantage value-added services, was used to monitor BGAN airtime usage during the expedition. This Everest expedition was a perfect demonstration of Stratos ChatCard Data with a BGAN system. Stratos ChatCard Data enables each BGAN user to expand the use of their prepaid Stratos ChatCard to include Internet access. It also allows users to control their Internet costs on an individual basis. With Stratos ChatCard Data, each user’s costs are calculated separately and charged via the Stratos ChatCard, a prepaid calling card that can easily be reloaded online with a credit card. 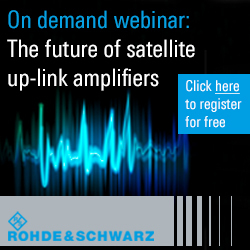 It can be used on all Inmarsat and Iridium terminals, including BGAN and FleetBroadband.